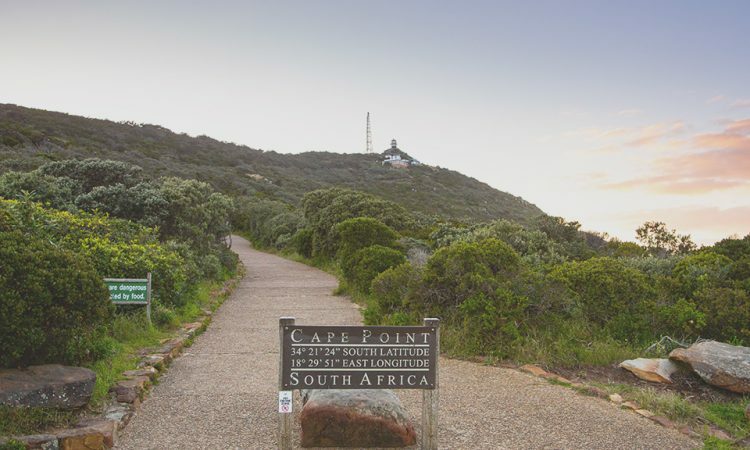 The Cape of Good Hope Trail and Hoerikwaggo Trail are two overnight, long hiking trails that start in the Cape of Good Hope Nature Reserve, and are only recommended for people with moderate levels of fitness. While they are not particularly technical, the distances covered are significant, and hikers must be prepared to cover up to 15 kilometres per day. Maps, particularly important for those undertaking the Hoerikwaggo Trail, which does not have directional signage. Slingsbys Maps are recommended by SANParks for their comprehensive and reliable nature. 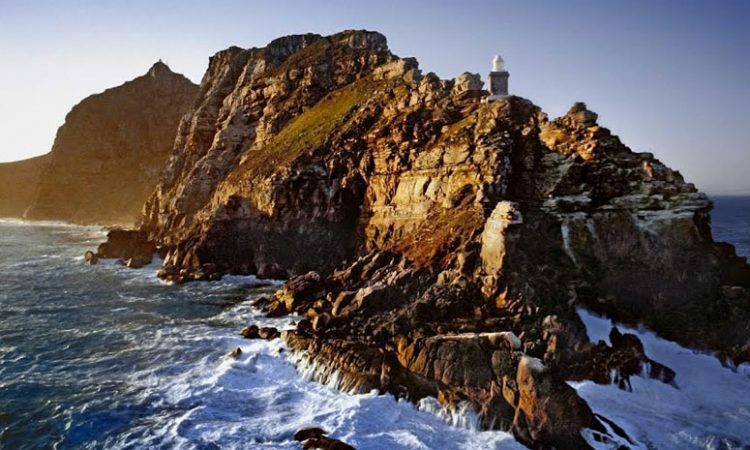 The Cape of Good Hope Trail is a two-day, one-night trail that follows a circular route through the reserve. 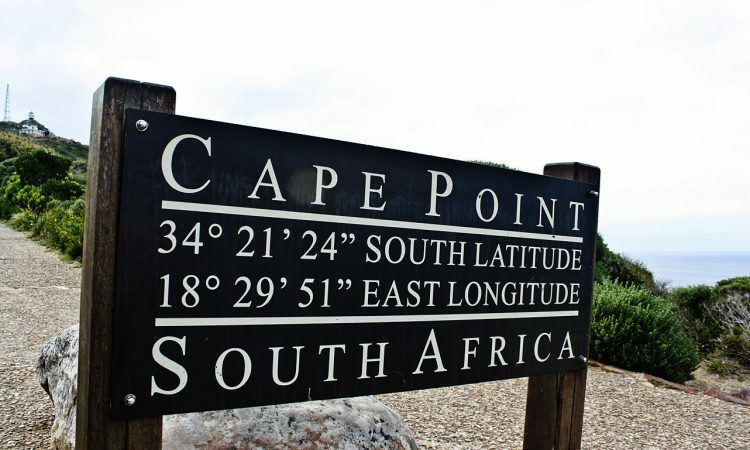 The trail begins and ends at the Cape Point entrance, where there is secure parking available for your vehicle. The Rooikrans overnight huts have an incredible vantage point over the Cape Point coastline. Photograph by Flickr user Ralph Pina. The trail takes hikers through some of the most pristine wilderness of the reserve, cutting through vast plains of fynbos and over isolated beaches, populated only by the occasional ostrich or baboon. Wildlife, though skittish, is often seen on the route, and dynamic plant and birdlife abound. The route is straightforward but covers an impressive 33.8 kilometres. As such, you’ll need to be reasonably fit and well-equipped in order to get maximum enjoyment out of the trail. The trail stops off at the beautiful Rooikrans cottages, where cutlery and crockery are provided. Wood for the braai facilities can be pre-ordered at the entrance gate and delivered to the cottage by the time of your arrival. There is also a two-plate gas stove, solar powered lighting and showers in the huts. You must bring your own bedding, however. Bookings are essential, and must be done via the Buffelsfontein Visitor Centre on 021 780 9204 during office hours. 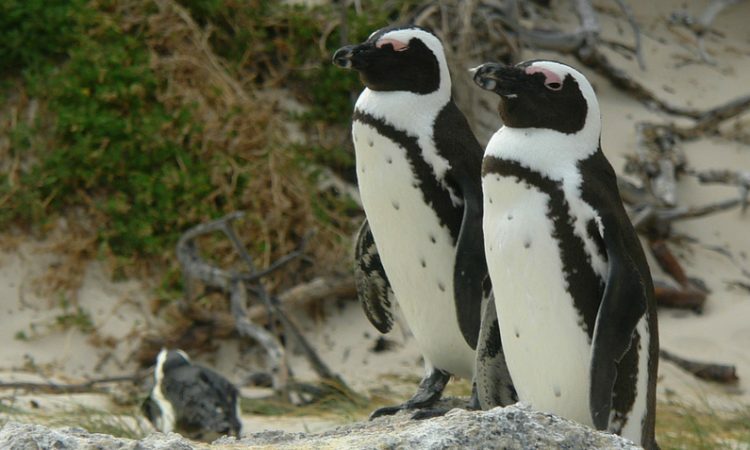 The current price is R210 per person, which does not include entrance fees into the Cape of Good Hope Nature reserve. Please familiarise yourself with the Cape of Good Hope Hiking Trail rules before embarking on the trip. For more info, visit the trail information page on the SANParks website or call the Buffelsfontein Visitor Centre on 021 780 9204. Wildlife, such as these bontebok, are a common sight on the Cape Point trails. Photograph by Flickr user Ralph Pina. The Hoerikwaggo Trail is one of the Cape’s hidden hiking gems. This legendary five day, four night hiking trail leads participants through the heart of the Table Mountain National Park, starting at the southern tip of the peninsula, and ending up just metres from the fringe of the Cape Town CBD. The Hoerikwaggo lets you take in the nighttime on Table Mountain without any disturbances. Photograph by Flickr user Andrew Newdigate. The trail is named after the Khoisan word for Table Mountain, “the mountain in the sea”, and in many respects it pays homage to the nomadic people that roamed the vast plains and dramatic mountainsides for many hundreds of years. As you wind your way through the spectacular scenery, it’s hard to believe that busy highways and a bustling city are, at times, just a few kilometres away. Apart from the occasional human encounter, much of the trail is in total solitude and isolation, and you will leave with a new appreciation for the vastness of the national park on your doorstep. The trail starts off in the tranquil wilderness of Cape Point, and makes its way north through four tented campsites: Smitswinkel, Silvermine, Slangkop, and Orangekloof, en-route to the Cape Town CBD. You’ll explore two sides of the peninsula, traverse vast ridges and encounter an array of plant, animal, bird and marine life. The trail takes you along a fascinating network of trails specifically built for hikers of the Hoerikwaggo trail. Photograph by Flickr user Warrenski. All campsites are immaculately appointed and offer beautiful surroundings in which to relax after the day’s long walk. They provide accommodation for up to 12 people, and you are required to provide their own bedding and towels. 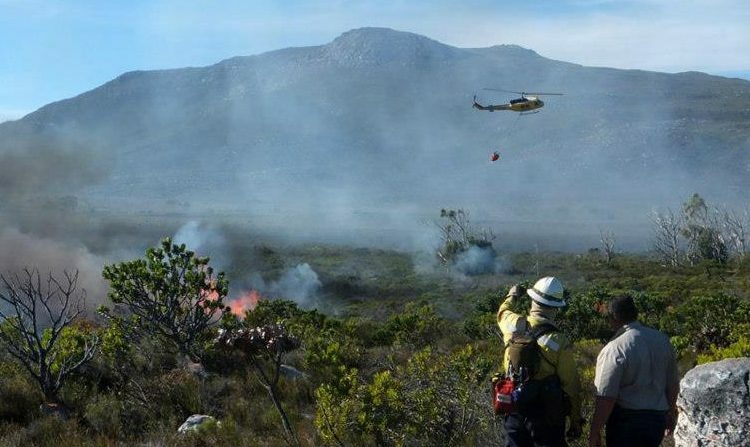 There are full cooking facilities at each site, including braai places, however all accommodation is self-catering, and hikers must make plans to transport their own firelighters and matches – wood is available for purchase at the campsites. Each day brings with it unique sights and scenery, and for a full breakdown of distances and routes, visit the Hoerikwaggo page on the SANParks website. There is no charge for the hike itself, however entrance to Cape Point must be paid, and all accommodation must be booked with SANParks prior to departure. This can be done directly with the Hoerikwaggo Trail Bookings Office on 021 712 7471, or via the check availability tool on the SANParks website. It’s important to remember that the route is linear, and you will need to arrange for your own shuttle system between the starting (Cape Point Nature Reserve) and finishing (Platteklip Washhouses) points. There is secure parking located at both ends of the trail, however this must be pre-arranged and is at the owner’s risk. The trail is a spectacular one, and to complete it from start to finish is a true once-in-a-lifetime accomplishment. 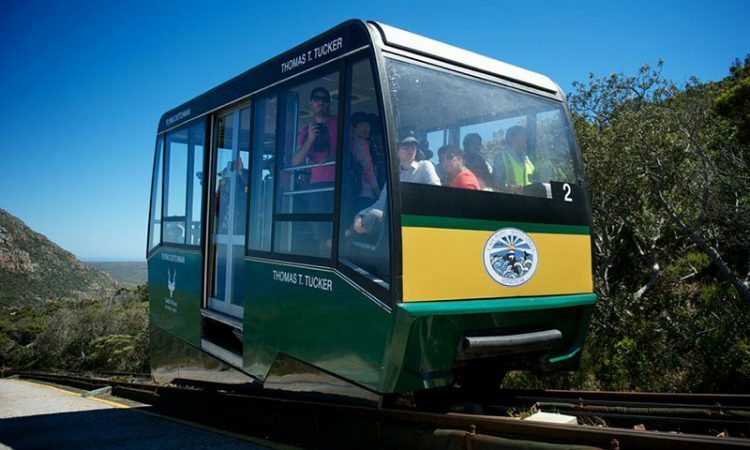 There’s a lot to know about the ins and outs of each day’s route and facilities, so we recommend taking a careful read through the SANParks website, and contacting the reservation centre on 021 712 7471 or hoerikwaggobookings@sanparks.org with any queries. Been on the Hoerikwaggo or Cape Of Good Hope Trails? We’d love to see some photographs! Email them to info@capepoint.co.za/old or share them with us on Facebook, Twitter, or Instagram.